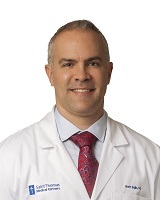 Dr. Brett Inglis is an internal medicine physician and board certified gastroenterologist. He is a member of the American College of Gastroenterology and the American Gastroenterology Association. Dr. Inglis has a precancerous polyp or adenomatous detection rate (ADR) of 43 percent on quality assessments. Current national guidelines set the benchmark ADR at 15 percent in women and 25 percent in men. Diseases of the digestive tract, and has a special interest in treating patients with liver disease.